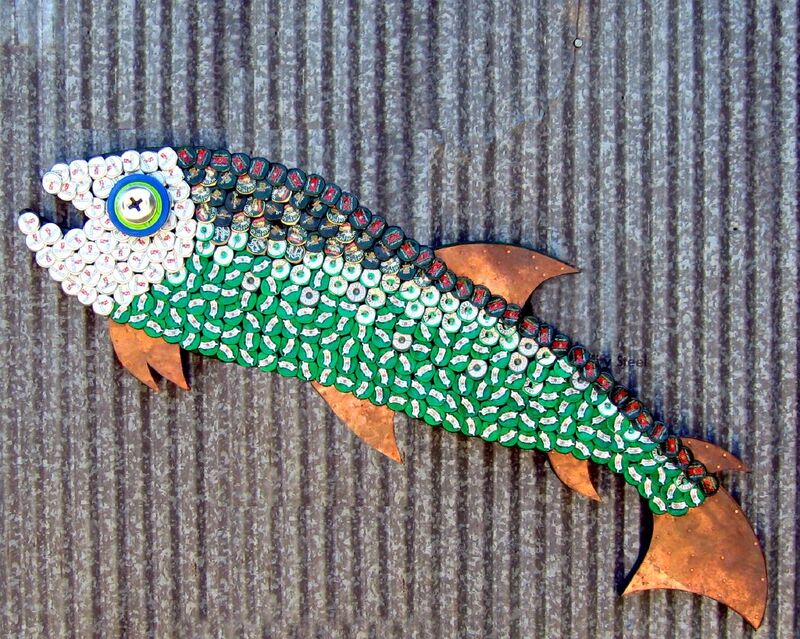 This bottle cap mosaic fish was a commission to recreate as closely as possible Bottle Cap Mosaic Fish No. 4. 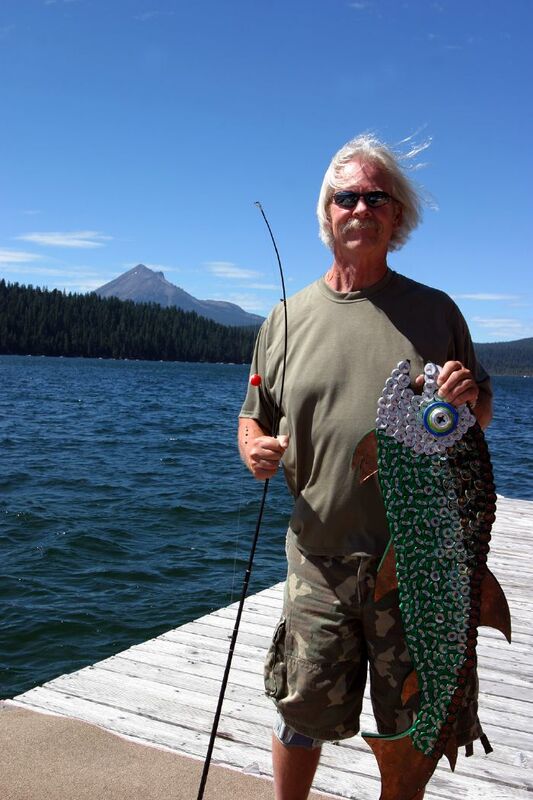 A combination of caps, Sierra Nevada, Stewarts Ginger Beer, Dos Equis and Becks went into this attempt to capture the gradient of a trout in bottle caps. The fins and tale are cut from recycled roofing copper. The eye is a jar lid. All the caps are partially crimped but not flattened and then nailed to double-primed plywood with copper and nickle plated nails. There’s actually kind of a cool story behind this commission which I wrote about previously on my blog here.